Exhibition Eye Eye Nose Mouth: Art, Disability, and Mental Illness in Nanjing, China and Shiga-ken, Japan. Fri., Feb. 22, 2019, 9 a.m. – 6 p.m. 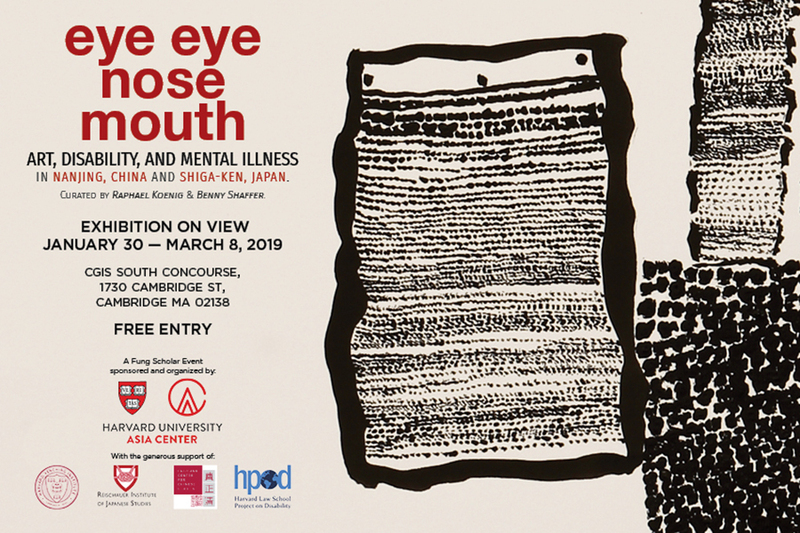 The exhibition at the Harvard University Asia Center explores the intersection of art, disability, and mental health by displaying original works on paper and sculptures created by ten groundbreaking, self-taught artists from China and Japan. Their compelling, formally innovative artworks come in a wide range of styles and media, from gestural abstractions and proliferating figurations, to meticulous clay obelisks and eye-popping wall paintings.